BATON ROUGE, La. -- Relatives of a black man who was gunned down by a white police officer in Louisiana's capital sued the city on Tuesday, claiming the shooting fit a pattern of racist behavior and excessive force by its police force. 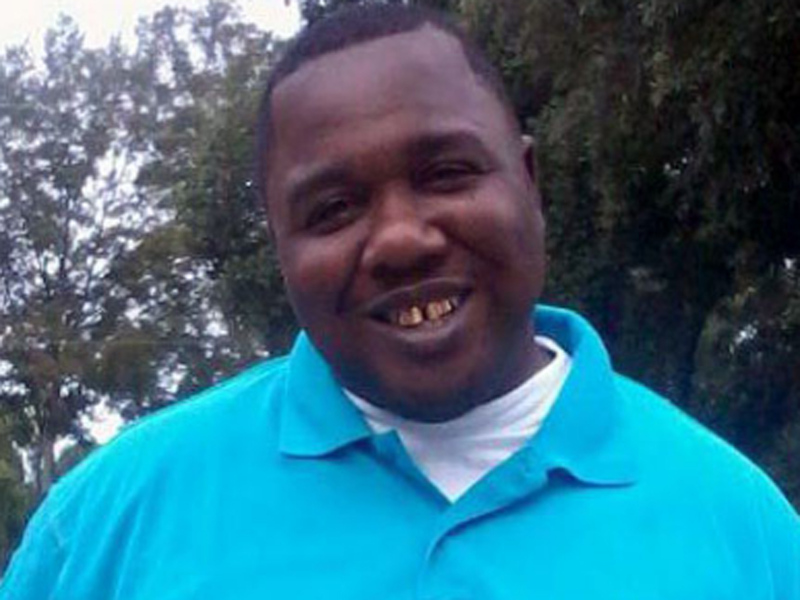 Attorneys for Alton Sterling's five children filed the wrongful death lawsuit in state court against the city of Baton Rouge, its police department and police chief and the two officers involved in last summer's deadly encounter. Officer Blane Salamoni shot Sterling six times during a struggle outside a convenience store where the 37-year-old black man was selling homemade CDs. The Justice Department investigated Sterling's shooting and announced last month that it will not file charges against Salamoni or Officer Howie Lake II, who also wrestled Sterling to the ground but didn't fire his gun. Louisiana Attorney General Jeff Landry's office has opened its own review of the case to determine if any state criminal charges are warranted. The family's lawsuit, which seeks unspecified damages, claims Sterling's shooting was the product of poor training and inadequate police procedures. "We want to be very clear that this is a civil suit," Attorney L. Chris Stewart told CBS affiliate WAFB-TV. "This has nothing to do with the criminal investigation. The civil suit is for the children and for the community. This isn't about should the officers go to jail -- this is about the children." Two cellphone videos of the July 5 shooting quickly spread on social media, setting off nightly protests. The officers' body cameras and a store surveillance camera also recorded the encounter, but those videos have not been publicly released. Federal investigators found that Salamoni shot Sterling three times after saying that Sterling was reaching for a gun in his pocket, and fired three more shots into Sterling's back when he began to sit up and move. The officers recovered a loaded revolver from Sterling's pocket. Sterling was in "agony" for minutes before he died "as a result of the vicious, negligent, and unreasonable fatal actions" of the officers, the family's lawsuit said. Baton Rouge Police Sgt. Don Coppola, a department spokesman, said Tuesday he can't comment on pending litigation. Acting U.S. Attorney Corey Amundson said during a news conference last month that there wasn't enough evidence to prove that Salamoni or Lake acted unreasonably and willfully after they responded to a report of a man with a gun outside the Triple S Food Mart. The officers told Sterling to put his hands on the hood of a car and struggled with him when he didn't comply, according to Amundson. Lake shocked Sterling with a stun gun before the officers wrestled him to the ground, Amundson said. Lake also is white. Sterling had a history of "adverse breathing problems and could not lie on his back for any extended period of time," the lawsuit said. Both officers remain on administrative leave, a standard procedure. Nearly 200 protesters were arrested in Baton Rouge last July after Sterling's death. Racial tensions were simmering in the city when a black military veteran from Missouri ambushed and killed three Baton Rouge law enforcement officers and wounded three others before being shot dead on July 17.